Making Fresh Yogurt? It’s So Easy. Posted at 4:20 am by Yummytums! Last night was my first attempt at making my own yogurt and I was pretty amazed at how easy it is. I followed the instructions carefully, worried that if I didn’t I might poison myself or my husband! But I needn’t have worried; it went without a hitch. I’m a convert to homemade; the results are tasty and much better than the store-bought variety. First, gather your tools. You’ll need a sauce pan, thermometer, clean jars, a yogurt machine, milk, a yogurt starter and an ice-water bath. I used one percent organic milk and whole milk organic Stonybrook plain yogurt as my starter. 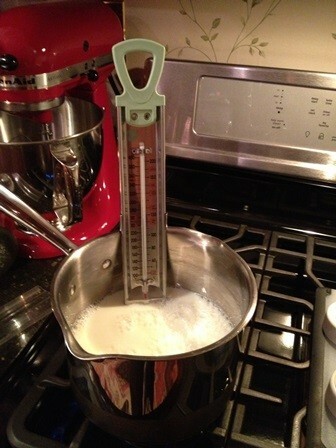 Simply measure the milk into a tall sauce pan and insert the thermometer. The milk needs to reach 180 degrees and boil for 1-2 minutes. It never really reached what I consider a full boil; it was more like a soft simmer. I kept it at around 180 degrees or slightly above for two minutes. Then simply place the pan in an ice-water bath to bring the temperature of the milk back down to around 110 degrees. Once the milk has cooled slightly, it’s time to add your starter. Place the store-bought yogurt into a separate bowl and pour in one cup of the slightly cooled milk. Whisk together until smooth. (The exact measurements for the milk and yogurt come with the instructions on your yogurt machine and are likely to vary by the type of machine you purchase.) Then combine everything together and pour into the jars. 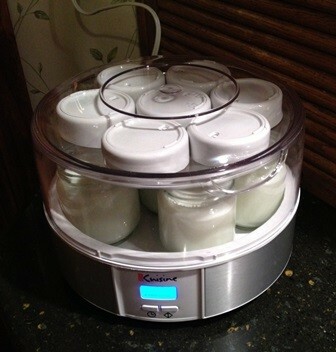 Place the jars into the yogurt machine, set the timer and walk away! Nine hours later, you’ll have seven jars of fresh yogurt. Place it in the refrigerator and about three hours later, it will be ready to enjoy. Simply mix together and enjoy! A little later in the day, I tried some yogurt as a snack and added in some honey, cinnamon and chopped almonds. It was so good! I found that making my own yogurt is nothing to be afraid of. 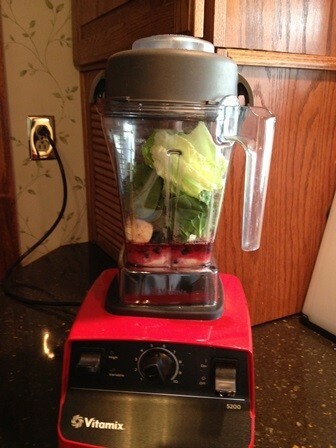 It’s so simple and — best of all — you know exactly what you’re putting into your body. There are no preservatives or artificial colors, just great taste.